Prices are per person twin share. Subject to specific flight class availability. Valid for travel as per above dates. Information & prices are correct at time of printing. New bookings only. 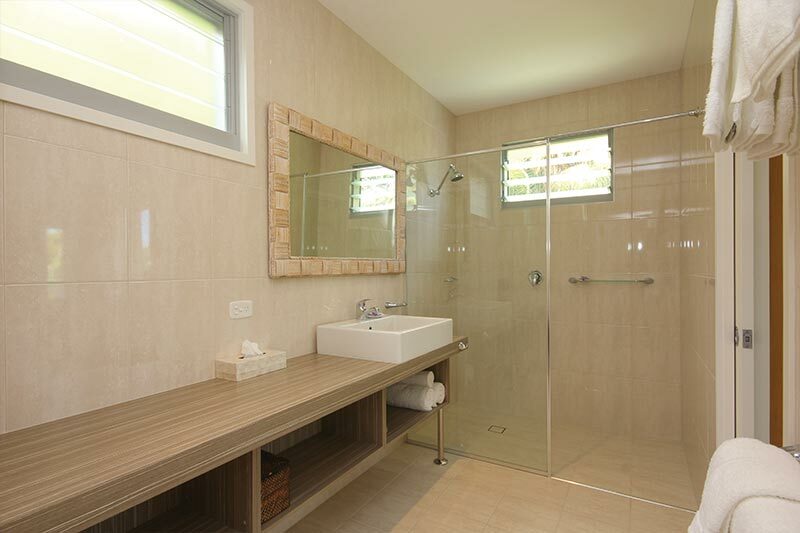 Secluded, private and centrally located, this modern, stylish one bedroom apartment is the perfect escape for couples wanting a peaceful getaway. 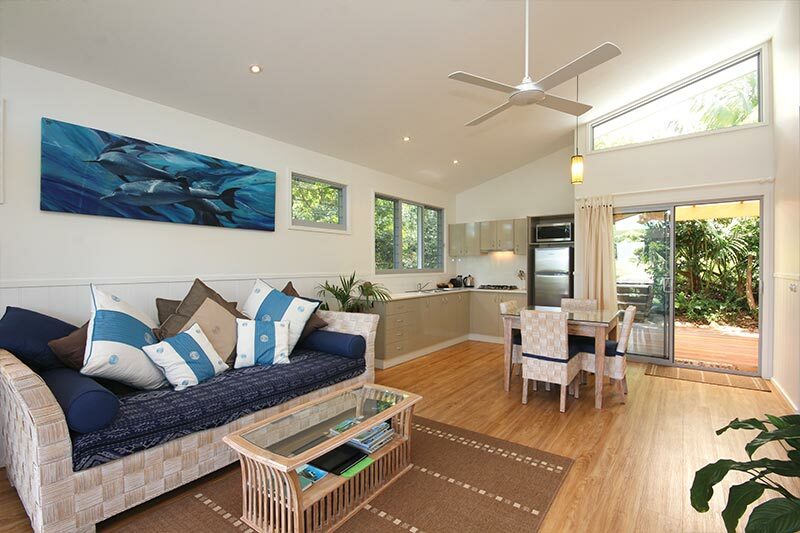 The Treehouse is a spacious, tastefully furnished freestanding apartment catering for 2 adults only, set amidst lush, landscaped gardens. 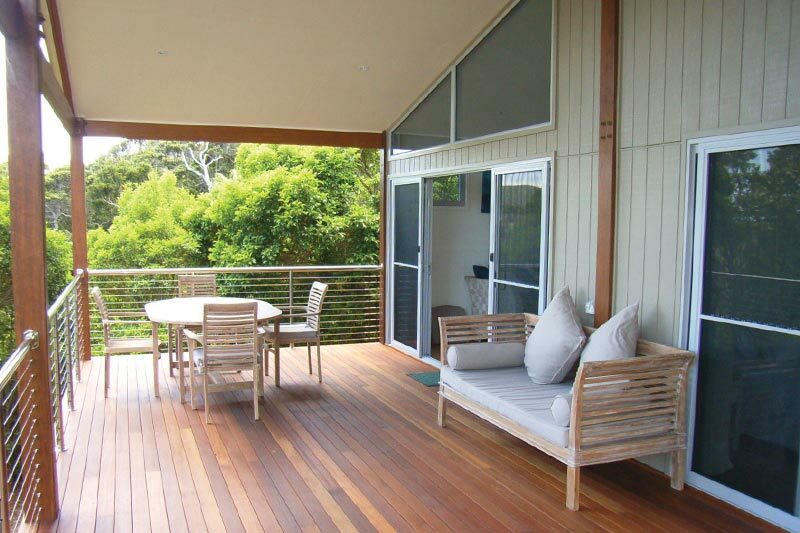 Enjoy alfresco interludes on the large furnished timber deck with spectacular mountain and lagoon views as the backdrop. There is chilled champagne and wine on arrival, complimentary Wi-Fi and phone, snorkelling sets, backpacks, yoga mats, bathrobes and more. LCD TV, DVD, Stereo with Bluetooth. Well equipped kitchen including stovetop, microwave and coffee machine. Weber BBQ located in the sub tropical gardens. 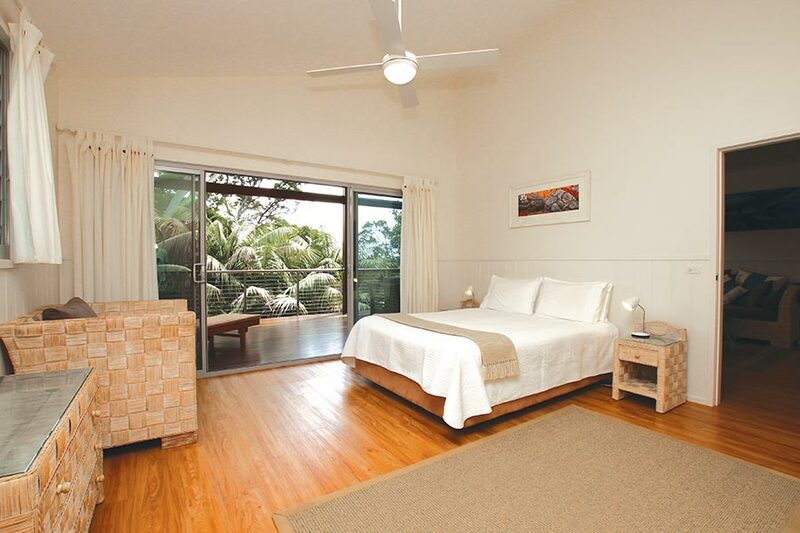 Spacious bedroom with verandah access and a beautifully appointed bathroom. There is a guest laundry, ceiling fans and heating. Airport and evening restaurant transfers included. 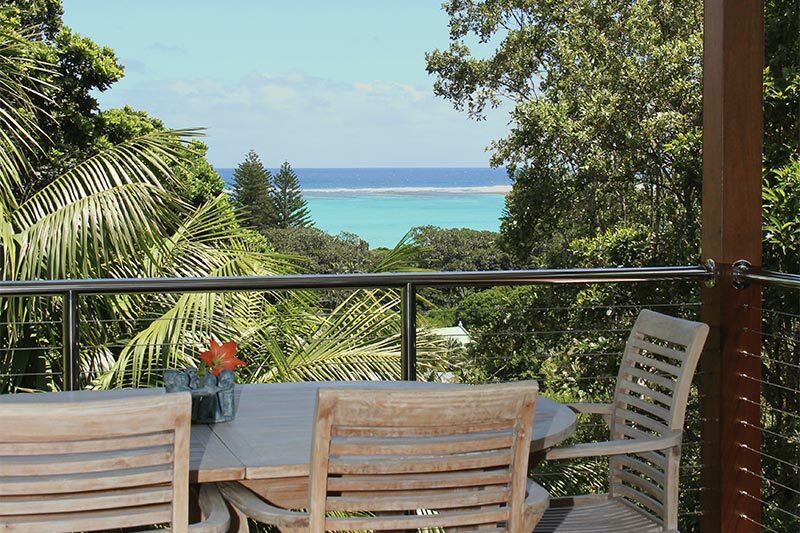 Short walk to restaurants, general store, Museum/Visitor centre, the Lagoon, Middle Beach and many of the Island’s famed nature walks.